Inspired by amuse-bouche, a small, perfectly crafted bites that showcase a chef’s artistry when it comes to flavor, texture and presentation, BITE Beauty Amuse Bouche Lipsticks serves high-impact multi-dimensional shades and handcrafted to deliver intense moisture and creamy wear. With unexpected undertones and richly saturated triple-milled pigments, BITE Beauty Amuse Bouche offers a modern take on colour. The small batch, low-heat process preserves a balanced blend of lip-quenching nutrients, vitamins, and 12 nourishing oils for lip colour that is creamy yet weightless. It also features a mouthwatering flavour made from fresh-pressed citrus layered with notes of cherry, mint, mango and vanilla. 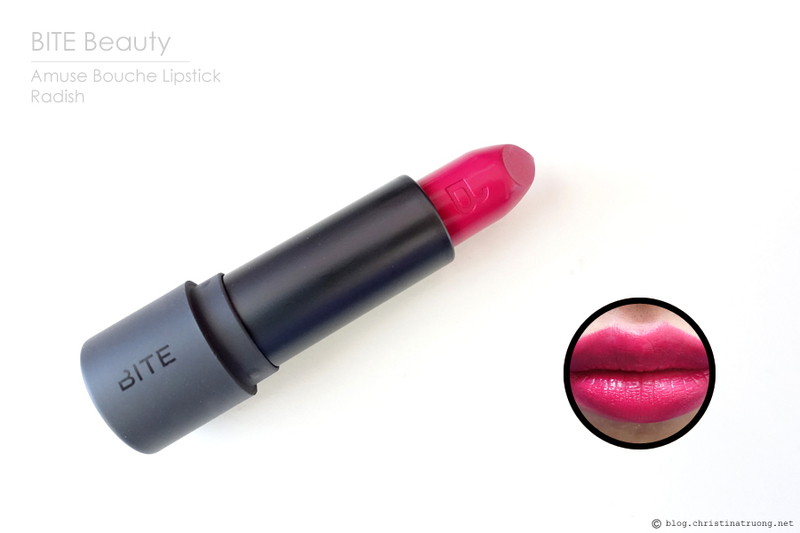 Below I have swatched Amuse Bouche Lipsticks in Radish and Sour Cherry. I also have a full review on the Amuse Bouche Lipstick (plus swatches of Honeycomb and Whiskey) here. 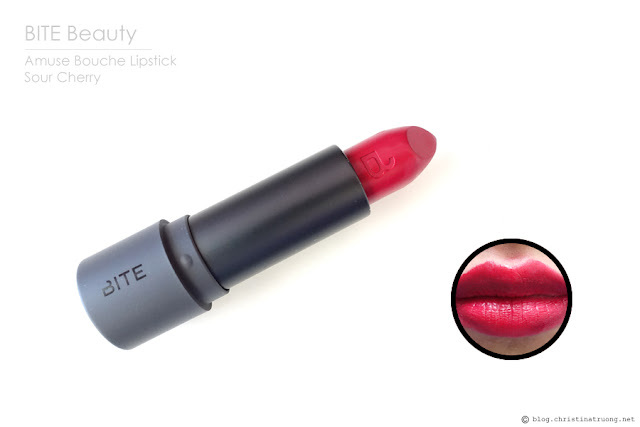 What are your thoughts on BITE Beauty Amuse Bouche lipsticks? Do you have a favourite lipstick formula? What's your go-to lipstick shade? Disclaimer: Not sponsored. Products received under this post were gifted from a BITE Beauty Ambassador program sweepstakes. Views expressed are honest and of my own.